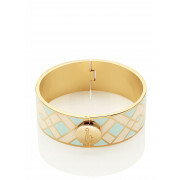 Ensure you have this statement Newbridge bangle in your jewellery box this season. The stunning bangle is a thick plated bangle with a champagne, green and cream colour theme throughout. 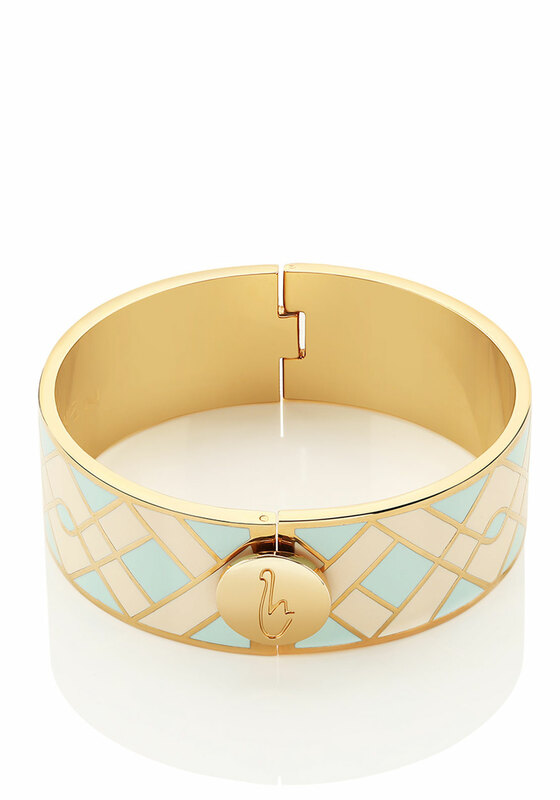 The bangle has an almost invisible closing covered by a swan detailed circular clasp.